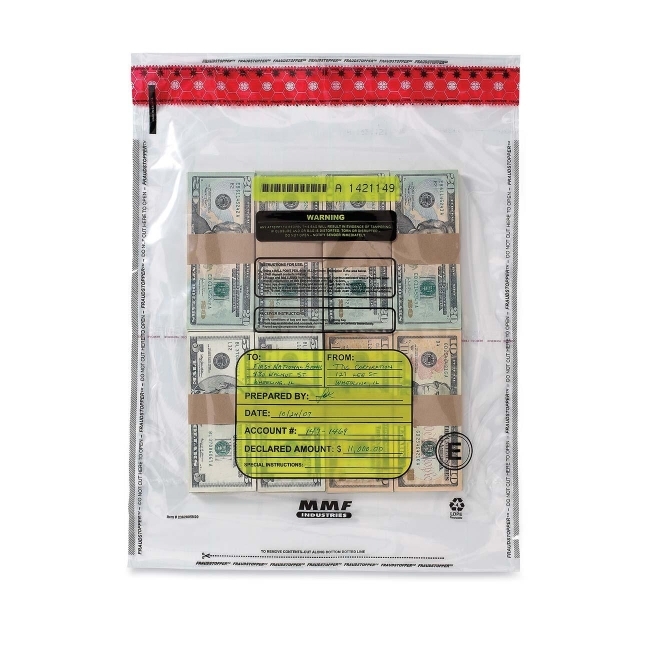 Use tamper evident Bundle Bag to safely transport deposits to Federal Reserve Banks or transfer cash between internal branches. Bag meets Federal Reserve Bank Guidelines for bank deposits. Self-sealing adhesive closure offers security features that exceed bank requirements. Sealed back pocket stores deposit ticket and other paperwork. Alphanumeric numbering, bar code and receipt provide an audit trail. Information can be written directly on the bag in yellow shaded areas.